I’m not being biased, but I must confess … I am a big fan of Nvidia. Not because of the brand name, but because the performance of their GeForce graphic cards are really good. They are in effect, 2 generations ahead of AMD. Their latest GeForce GTX 1070 Ti is a real performer and from our tests, you can see it almost matches (if not better than) Radeon’s flagship RX Vega 64 in all of our benchmarks. This is all thanks to the Zotac’s factory tested GPU, that can be overclocked to +150 MHz GPU core, +200 MHz memory using their ONE CLICK OC function via the FireStorm software. More about that here. During our full load tests, the GTX 1070 Ti GPU core clock jumped up to 1873 MHz (default is 1607 MHz), which will definitely help to give you that extra performance. There is no doubt in my mind that a the Radeon RX Vega 64 will outperform a standard GTX 1070 Ti. The IceStorm Cooling with 3 EKO Fans, along with the metallic ExoArmor backplate does a excellent job of cooling the overclocked graphics card. At full load, our temperature hit a high of only 54 degrees Celisus. There’s a couple of thing I was concerned about … and that’s the huge size of the Zotac GeForce GTX 1070 Ti AMP Extreme graphics card. It takes up 3 PCIE slot space and it weighs a ton! Make sure you have a large enough chassis with plenty of room. Pricewise, it’s a little on the expensive side, costing you around USD $590.00. You can get a standard GeForce GTX 1070 Ti for around $530-550. You’re basically paying an extra $40-50 for a factory overclocked GPU and the extra cooling. incidentally, a GeForce GTX 1070 (non Ti) costs around $450. Factory tested can be overclocked to +150 MHz GPU core, +200 MHz memory. 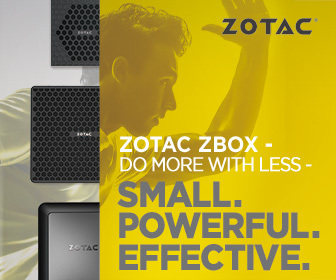 If you’re one of those people (like me) who don’t have time to overclock the GPU, but want to purchase a graphics card that can be overclocked with a ONE CLICK OC function … then take a look at the Zotac GeForce GTX 1070 Ti AMP Extreme. It offers excellent performance that easily matches the Radeon RX Vega 64.